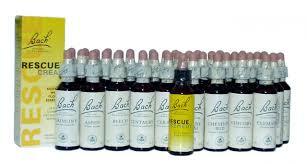 How Are The Bach Flower Remedies Used Within Heilkunst? Before I studied and practiced Heilkunst, I had spent a lot of time exploring the Bach Flower Remedies for my own personal healing, and my original health consulting practice was as a flower essence practitioner. I had always been drawn to any sort of systematic explanation of human behaviour and emotion, and the Bach remedies really lit up something inside of me as far as coming to understand a dimension of our inner world. Unlike many personality typing systems, these remedies not only categorized personality traits and emotional characteristics, but provided a real method for affecting them in a positive way. 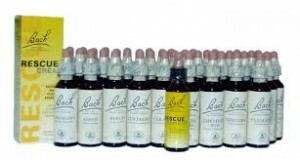 Dr. Edward Bach developed his system of the Flower Essences in the 1930s, arising out of his highly intuitive connection to nature, and to flowers in particular. He had previously trained as a homeopath, and developed the Bowel Nosodes, which are still a part of the practice of Heilkunst today. To develop the flower remedies, he mapped out specific states of emotional imbalance, and then used his intuition to go out into nature and find a flower which contained the specific positive quality to counter-balance it. He primarily used a sun potentizing method for extracting the essence of each flower, which involved laying the fresh petals in a bowl of spring water which was set out in the sun for a number of hours. For some plants, he used an alternative boiling method to release its essence. Before my studies in Heilkunst, I had no clue about the role of Bach’s remedies in an overall context of healthcare, but simply used them at face value. Without understanding the greater context of Heilkunst, I didn’t understand why the flower essences clearly worked when they did, yet had no effect other times. It is perfectly clear to me now that they work on the law of opposites, in terms of correcting an imbalance, yet have no power to affect a disease, which needs to be addressed by the law of similars. In terms of my own personal healing, this was an example of using a technique or modality to great initial effect, but which sooner or later hit an invisible limit when the need for another jurisdiction was called for, but of which I was ignorant. This is so often the story of many of my patients, who seek out treatment with me after hitting a similar limit in their own health, when their regimenal practices peter out in face of the underlying diseases, which cannot be reversed through the law of opposites alone. Today I am using the BFR with my patients within the context of their Heilkunst treatment, as a means to support and re-balance their emotions as they go through the deeper transformations of their underlying disease matrix being annihilated. Overall, this is a much better use of the BFR, where they can shine with their true capacity, and not made to try to address something they are not able to. The difference between disease and imbalance is extremely important to understand within a complete system of healthcare.